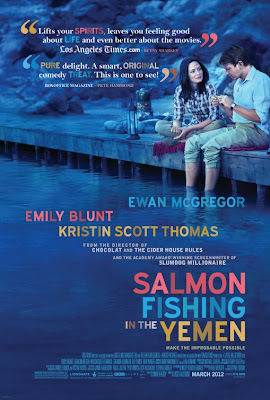 The people behind SALMON FISHING IN THE YEMEN are fully aware of how ridiculous the title of their movie is. 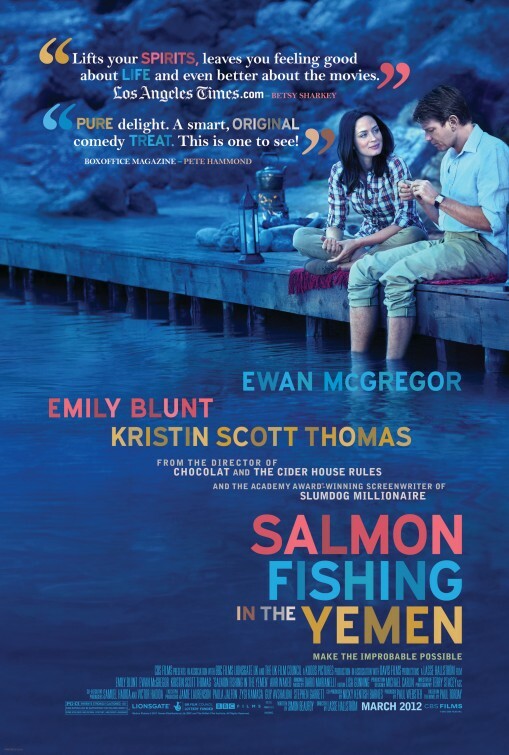 In fact, director Lasse Hallstrom capitalizes on just how ludicrous the entire concept of transplanting salmon fishing as a sport form Ireland to the Yemen truly is, by juxtaposing it against that other ever elusive impossibility we call love. Enter Ewan McGregor and Emily Blunt. He’s repressed; she’s passionate. Clearly, they have much to learn from each other. The whole international affair is a tad bit obvious at times in its intention but thanks to delightful turns by McGregor, Blunt and a hysterical Kristin Scott Thomas, this film is abundantly charming. I’m looking forward to the film, but the title is … absolutely serious. Went to see the film yesterday and was not sure what to expect. People kept telling me that the book is good.I found it rather slow at the start but Ewan McGregor’s delivery of his lines was brilliant. Both Kristin Scott Thomas and Emily Blunt were excellent.There was some exquisite scenery. All in all it’s worth going to see for an enjoyable visit to the cinema.